Add to basket and checkout to download your free copy of Sacred Skies and Earthly Sinners. This digital publication Sacred Skies and Earthly Sinners, the Hellfire Club Archaeological Project, brings together all of the results of the excavation of the passage tomb DU025-001001, that took place in October 2016. 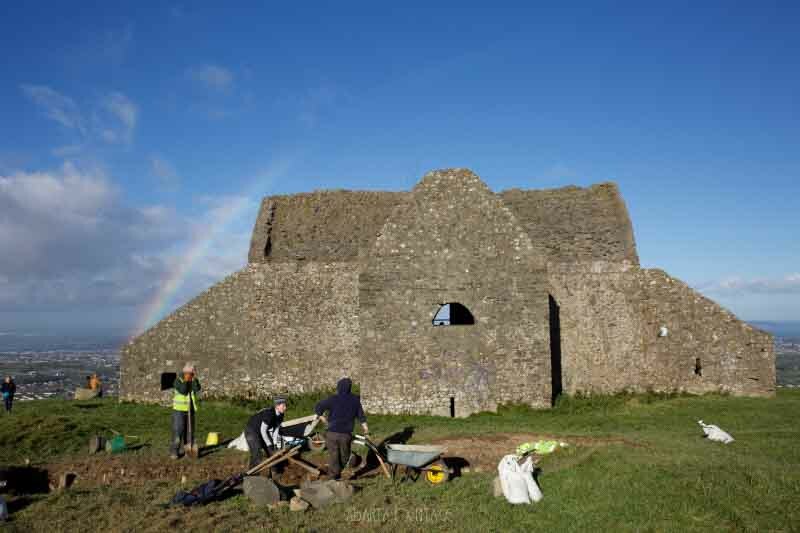 The excavation was carried out as part of the Hellfire Club Archaeological Project, a not-for-profit research project by Abarta Heritage with funding and support from South Dublin County Council, Coillte and the Dublin Mountains Partnership. Examine the nature of the monument DU025-001001 and to seek to conclusively identify its site type. To accurately assess, record, sample and excavate all archaeological contexts encountered. To identify and retrieve material for dating purposes to better understand the chronology of the passage tombs and ancillary features located on Montpelier Hill, and to contribute towards the overall chronological understanding of megalithic tombsin Ireland. To carry out an accessible archaeological excavation that would help to raise awareness, engage and educate the general public, particularly local schools, about the practice of archaeology, and to help to tell the story of Montpelier Hill and the Dublin Mountains. This fully illustrated publication contains specialist analysis and contributions from Ken Williams, Dr. Elizabeth Shee Twohig, Dr. Stephen Mandal, Sol Mallía-Guest, Dr. Ruth Carden and Sara Nylund.